One reporter commented, "That idea of vulnerability seemed to be a theme in your speech. And it’s so important, now more than ever, when it comes to things like head trauma, or mental illness. It’s OK to ask for help, it’s OK to offer help." To which Olczyk responded, "There are a lot worse people off than Eddie Olczyk. I know that. But if I can have a purpose now to share that knowledge that I gained through a brutal time, it will have been worth going through the six months of hell of the chemotherapy." "It’s just the reality. It’s going to be with me the rest of my life. I’m glad it was me and nobody else in my circle or family. Knowing what I know now, having gone through it, I don't know how I would’ve been able to cope with somebody having to go through it. It’s a challenge. It’s a goal to inspire people to handle it, beat it or stay away from it. There’s a lot of antennas there. But with my mantle and the opportunities that I get publicly, the more people who know my story, the better chance I have to help somebody that I may know or may not. 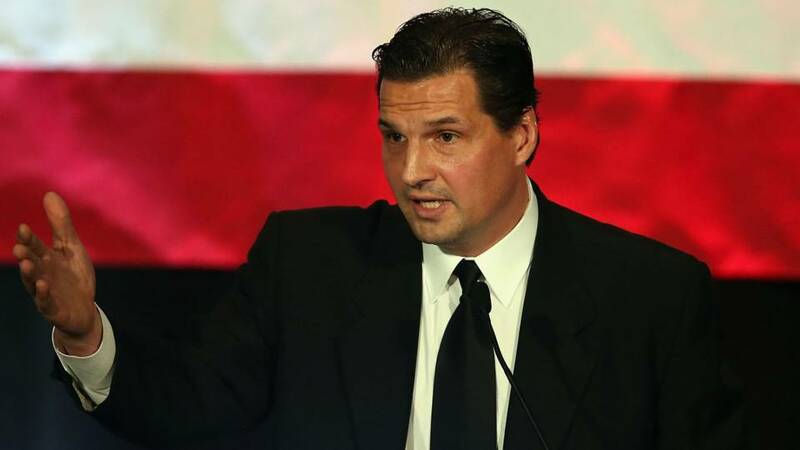 That’s the beautiful part of it," says Olczyk.